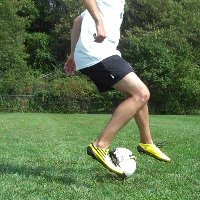 This trick was made famous by both Diego Maradona of Argentina and Zinedine Zidane of France. 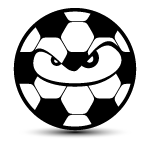 It’s a spin type turn that allows you to avoid an opponent while changing direction quickly. With this article, we’ll provide step by step instructions as well as a video example. Dribble the ball at an angle toward the opponent. 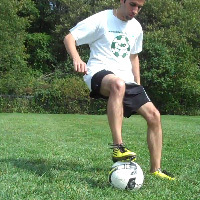 In this example, we are using the left foot for the counterclockwise spin with the ball. So the approach angle is toward the left side of the opponent. 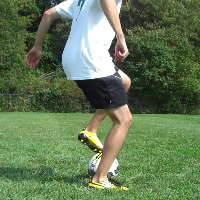 When you’re ready to make the turn, stop the ball with your right foot and drag the ball back. Start your counterclockwise spin. At this point, your body will be in between the ball and the opponent, which makes it difficult for the opponent to see or easily gain control of the ball. 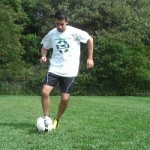 Use your left foot to roll the ball away from the opponent and continue your run.